Hello everybody! 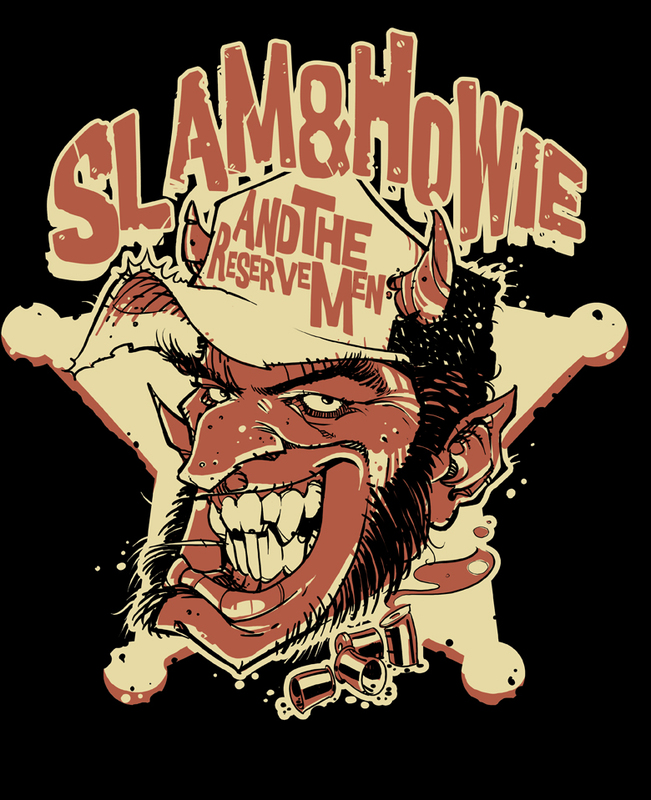 This is the brand new shirt design for the well-known speed-country heroes SLAM & HOWIE and the Reserve Men. If you don’t know what I’m talkin’ about, check them out! Dear italian friends, they’ll come in Italy in June so you can see their amazing show (and buy THAT shirt too)! I’m pretty sure that if you’re a white-trash-dirty-greasy-evil punk, this shirt is a must-have. You can also buy some merch through the band’s website.